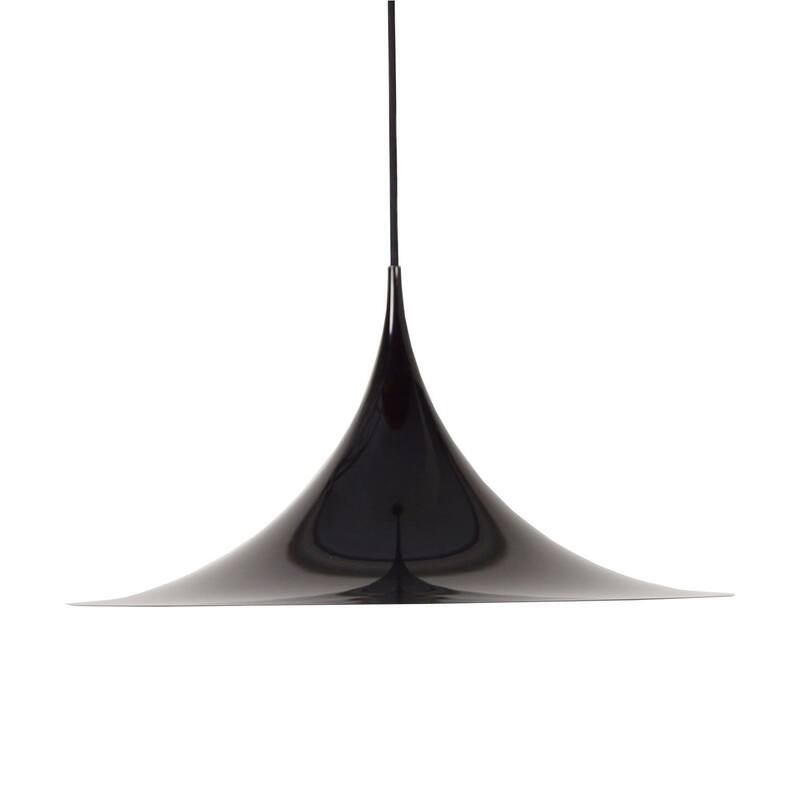 Black Fog Morup Semi pendant designed by Claus Bonderup and Torsten Thorup for Fog & Morup in 1967. This mid-century pendant with a diameter of 47 cm. has a beautiful refined and organic shape; the shape of the lamp runs over in the cord. This semi lamp is made of black metal and the inside is white for maximum light effect. Dimensions: H x W x D = 26 x 47 x 47 cm. Material: metal, the lamp has a nice woven cord. Colour: black and white. The wiring has been checked by an electrician.